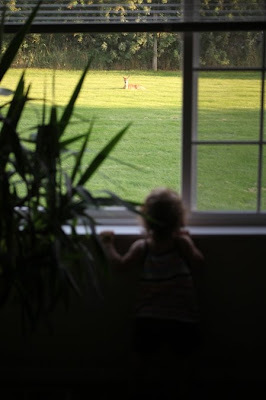 We were captivated by the happenings in our backyard last night. 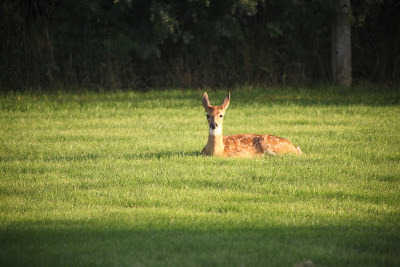 A Mama and two fawns were bedding down in the grass enjoying the last rays of sunlight. 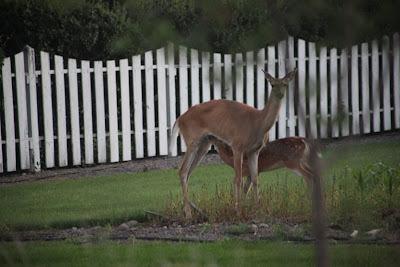 Our backyard is often a sanctuary for deer in the afternoon under the shade of the willows, but the Mama with the fawns was quite a sight. Jeff spotted them first, and he pointed them out to Astrid, who had no idea what to think about them. 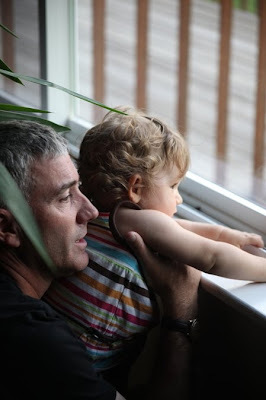 She was scared and excited at the same time...and was glued to the window for over an hour along with her father. 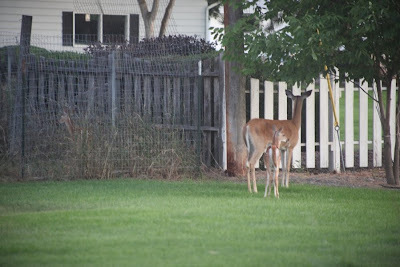 We noticed the doe was injured and limping around quite a bit... I can't help but wonder where they are tonight. I hope she heals before the winter months. Because of the fence separating the property in back of us one of the two fawns got stuck on the opposite side and had trouble getting through. That is so cool...the other fawn got through?? Elizabeth...those pictures of Astrid by the window are absolutely precious. 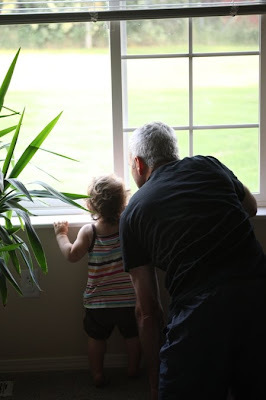 How fun to watch her total amazement. Parenthood is so cool.